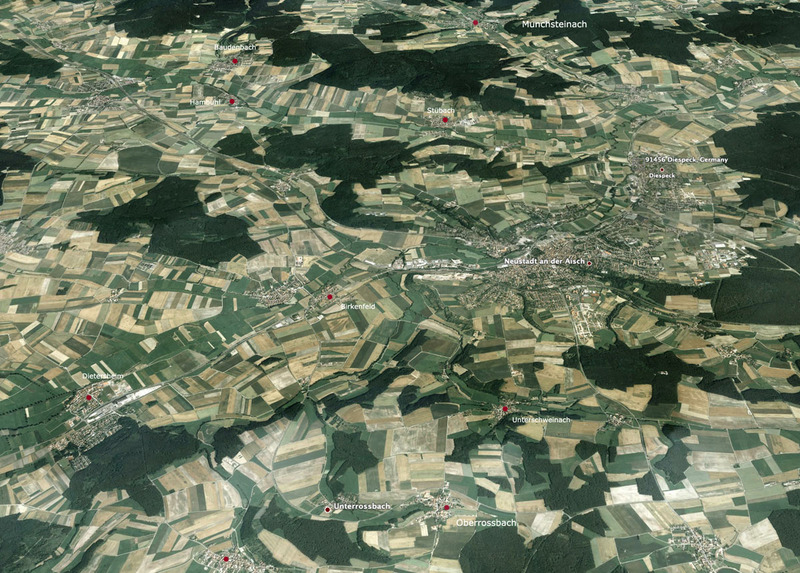 The towns of Unterrossbach, Oberrossbach, and Unterschweinach (seen in the lower portion of the map) received the first of my German Hasselbachers on or before 1666. From there they migrated to towns like Stubach, Diespeck, and Munchsteinach. This is the ancestral farmland of my family. Diespeck an der Aisch is an easy bicycle ride away from the other little towns that our ancestors settled. It is not a surprise that they found their spouses from the surrounding communities. It remains quite lovely today.